Early childhood education and care is a major policy issue for national governments and international organisations. This book contests two stories, both infused by neoliberal thinking, that dominate early childhood policy making today – ‘the story of quality and high returns’ and ‘the story of markets’, stories that promise high returns on investment if only the right technologies are applied to children and the perfection of a system based on competition and individual choice. But there are alternative stories and this book tells one: a ‘story of democracy, experimentation and potentiality’ in which early childhood centres are public spaces and public resources, places where democracy and experimentation are fundamental values, community workshops for realising the potentiality of citizens. This story calls for transformative change but offers a real utopia, both viable and achievable. The book discusses some of the conditions needed for the story’s enactment and shows what it means in practice in a chapter about project work contributed by a Swedish preschool teacher. 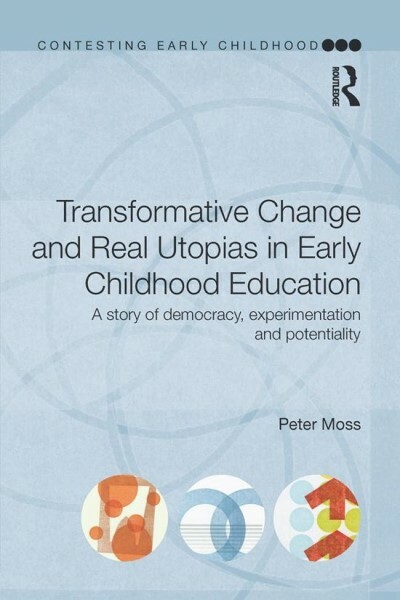 Critical but hopeful, this book is an important contribution to resisting the dictatorship of no alternative and renewing a democratic politics of early childhood education. It is essential reading for students and teachers, researchers and other academics, and for all other concerned citizens.